Book a trip today. Call us at (409) 883-0723 or use our contact form. 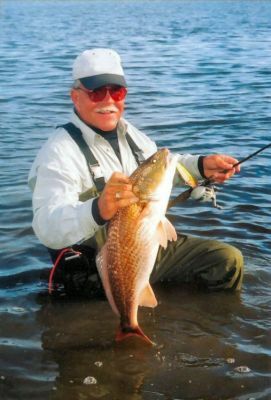 Bays: 8 hour trip on Sabine Lake or Calcasieu Lake with USCG licensed professional guide. Fishing Methods: Artificial lures or live bait, wade, drift, and fly fishing. Type of Boat: 22 foot Blue Wave with a 200 horsepower Yamaha engine. Provided: All tackle, lures, fuel, ice, and fish cleaning at no charge. We fish bordering Louisiana waters, including Big Lake, on request. A non-resident Louisiana charter trip license is required and can be purchased for only $5 by calling (888) 765-2602. All guides are experienced USCG approved captains.